We all know that spring is the season of new life. When those first tentative days of clement weather and beautiful skies roll around, it’s hard not to think of newborn lambs, yellow daffodils bursting from the ground, and rustic picnics on the beach. Yet, this isn’t quite the whole story now, is it? There are plenty of other creeping, crawling, slimy beasts who also love to spend time in the sun. For the most part, these uninvited guests are nothing to worry about. A wasp might give you a nasty sting if you’re not careful, but it can’t do you much harm. It is only when spring pests begin to accumulate in large numbers that a little intervention is needed. Fortunately, the experts at Dawson’s Pest can help you safely eradicate wasp nests, ant colonies, termite invasions, and a host of other unwanted visitors. We have put together this handy guide to common spring pests and the most effective ways to keep them out of your garden. 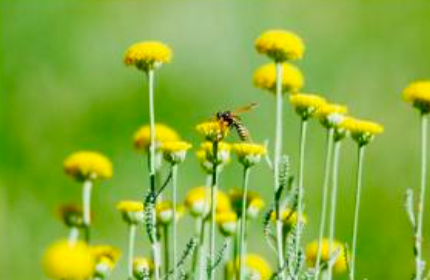 Spring is prime time for stinging insects because it is at this point in the year that they start looking for perfect nesting places. While bees are actually very useful for pollinating gardens, you really don’t want a hive being built in yours. That many bees in one place is dangerous, so if you do suspect that spring swarms are getting a little too big for comfort, you can call our removal experts for help. It is very important that you don’t try to remove a wasp or bees nest by yourself because you risk being stung multiple times. 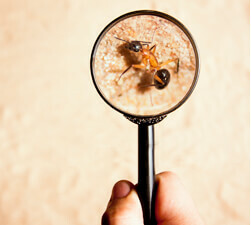 Every spring, we see a spike in the amount of termite cases that we get called out to. This is because winged termites are breeding at this time of the year and starting to leave the nest and look for food. They love warm, balmy nights, so they’re a common sight in Australian gardens. The thing about termites is that, even though they look pretty harmless and they don’t sting like wasps, they are one of the biggest threats. They feed on timber and will slowly eat away at the foundations of a house if given enough time. If you spot termites around your home or garden, use a vacuum to neutralise and contain them and call us right away. For most of the world, spiders are known to give people a fright, but they don’t pose any danger. In Australia, of course, things are very different. We have a staggering 2,400 species of spiders and, yes, a handful are venomous. Despite this, there have only ever been two spider related deaths in the country, so the chances of you being threatened by an eight legged beast are rather slim indeed. Nevertheless, it is always safer to call in the pest control experts if you suspect that there are spiders nesting in your home or garden. Check out our guide to the most common domestic spiders for advice on spotting these beasts. If you do need help controlling or removing the pests in your garden, it takes just minutes to pick up the phone and call our experts. At Dawson’s Pest, we always put the customer first and our removal methods are designed for maximum impact, with the minimum of disruption to your daily routine. Call us at (03) 9222 2266 for same day service.